The winter flu has ravaged the DSRA podcast making it impossible to record a new one this week. 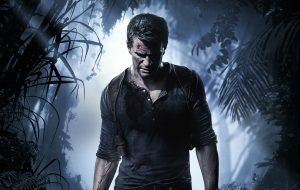 Instead we thought it would be fun to rerelease one of the first episodes where we discuss the video game series Uncharted. 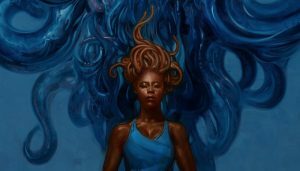 Fresh off the release of Home (Binti #2), Claire and Kyle are eager to talk about Nnedi Okorafor’s award-winning science fiction series. Binti, the eponymous heroine, is heavily influenced by her Himba heritage. Claire gives a brief overview of this African tribe’s history, as well as some of their rituals which are woven into the story. Kyle continues with a look at how Okorafor’s culture and life experiences have impacted her work. 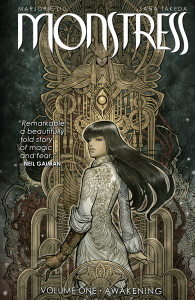 And on a somewhat darker note, he describes the controversy of last year’s Hugo Awards and the attempted pushback against works by women and people of color. Our hosts finish with their thoughts on the series and the world Okorafor created. 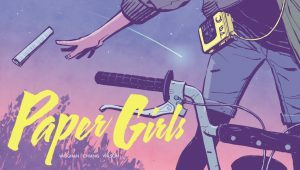 Paper Girls is one of the best selling series at Image Comics and was the 2016 Eisner Award winner for Best New Series. The story centers on a group of girls on their bicycles delivering newspapers in the 1980s, and things quickly take a dramatic turn into science fiction. Kyle considers the nostalgia evoked in this and other contemporary stories by exploring the original use and evolution of the word. Claire discusses the writer, Brian K. Vaughan’s goals for the story and his collaboration with artist Cliff Chiang, colorist Matt Wilson and letterist Jared K. Fletcher. Our hosts conclude with their thoughts on the comic and their own relationship with their childhood memories. 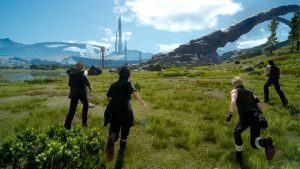 Final Fantasy XV was 10 years in the making and hopes to build on one of the greatest legacies in video games. As regular host, Claire White, enjoys a well deserved vacation, Kyle Willoughby and producer, James Fouhey, consider the past and present of a franchise they’ve played for almost 20 years. 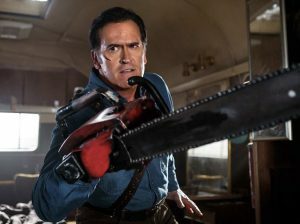 James discusses the genres, mythologies, and themes that have defined the series. Kyle describes the trials of XV’s long production and why the first installment was nearly the last. They conclude with their thoughts on the game, how it measures up to its predecessors, and the women of Final Fantasy.